Whenever I read biographies, I always tend to assess whether or not I can change something in myself to apply the insights I get from these books. Like the time when I read the story of Abraham Lincoln’s life which taught me about the importance of patience. There’s also the life of Jack Kennedy which brought to light how an open-minded person ought to think and express himself. I have basically read biographies and got a glimpse of how people I admire went about their lives so that I can learn something. Reading Steve Jobs by Walter Isaacson was not that easy because besides his abilities, which were not something I will be able to acquire soon enough, some of the behavior and attitude he demonstrated were just the opposite of what I believed in. Steve Jobs, the c0-founder and former CEO of Apple who died on October 5, 2011, did all these great things and his instincts were usually right. He knew what people would love even without having data to prove it. His taste for design was impeccable. He loved simplicity and beauty in product design. I would think that I too have a good design taste myself but I wouldn’t know how other people will respond to it. I guess I’ll find out how readers see my blogs. He was a control freak who did not want even his customer to “molest” his works of art. Yes, he thought of himself as an artist. I agree with him. He was a very good salesman. This is probably an understatement. He could be the best salesman that has ever lived. I’m not a good salesman myself. This is probably one of my weaknesses. I could try to improve but it will be a long road for me. He had the ability to bend reality so that people will do as he wished. It’s what most people around him called his reality distortion field. I don’t have this ability at all. I believed in the power of persuasion but not this kind. He demanded perfection from everyone. His dedication was unquestionable to a fault. This behavior probably helped him a lot. And it could possibly help me if I had it in me as well. I could be demanding but I don’t show it consistently enough to make it a part of who I am. He could be really mean to people especially those who came short of his standards. He didn’t have any problem getting things done even if people got hurt in the process. He couldn’t care less. I just can’t be someone like that. 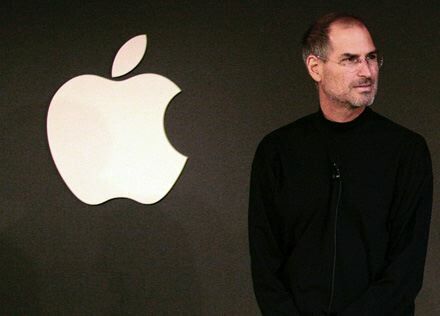 Steve Jobs cared about his products more than people. He’s not a very likeable person in that sense. He made a dent in the universe and that’s great for the rest of us. His biography by Walter Isaacson was a great read.